What’s the best phone plan for kids? Ahh, the thrill of your first cell phone. Sure, back in the day there weren’t much colours or features, but there was the same unmatched enthusiasm as any kid feels when being trusted with his first device. If you have decided it’s the right time to give your kid a device and found a nice fit, the next step of maximum concern is related to what type of phone plan should you choose for your youngster. For most families this pretty much sums up the entire process: Let the negotiations begin! Finding the right balance between parents’ need for safety, privacy and, let’s face it, control, and children’s plea for more data can be rather difficult. Luckily, Tello Mobile and its array of prepaid phone plans is a perfect choice. 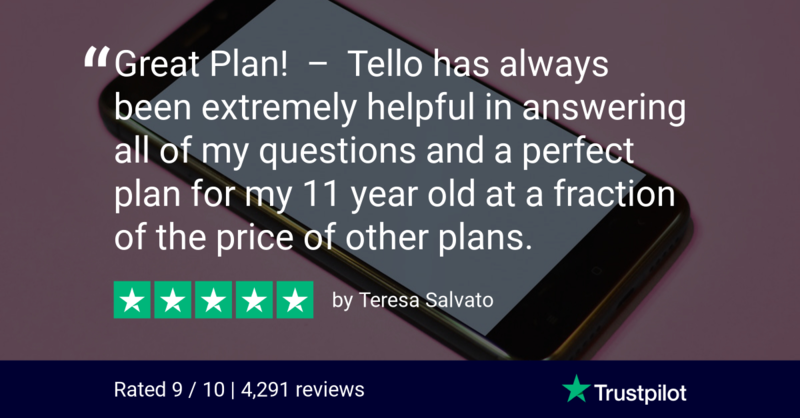 Families are choosing Tello Plans for kid’s first phone and are loving the unlimited flexibility we provide. Our plans start as low as $5/month and you can choose to build your own, every month, with any combination of voice, text and data you want. When a tween or teen needs his first phone, parents have serious prep to do dealing with all sorts of concerns. BUT at least the service and monthly bill doesn’t have to give them a headache: Tello’s most popular plan is a whooping 📌 unlimited talk & text+1GB for only $14/month. If you want to start safe, go for a talk & text only plan and build up from there, as time goes by. 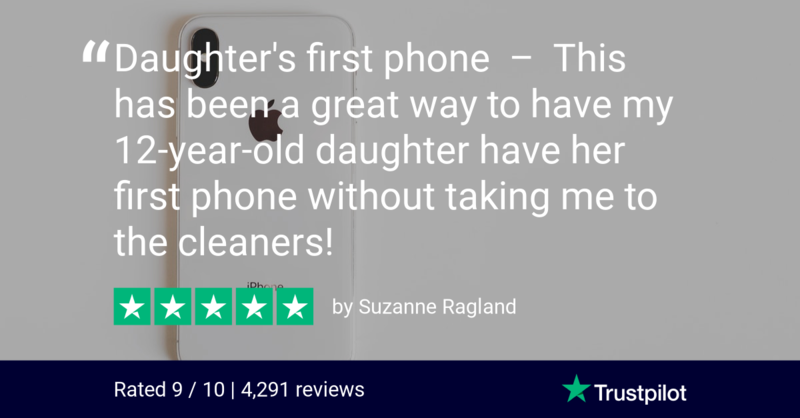 You can even choose a plan with 📌 unlimited minutes & text for just $11/mo so that your kid will always be able to stay in touch, call home, regardless of how much he had used his phone to call and message other people. If you’re OK with your kid having access to the internet through mobile data, you can go for a plan with 📌 2GB + 100 minutes + unlimited text for only $15/mo. The best thing to do is to talk to him/her and see what they plan to do with the phone: messaging back forth with the buddies or more and adjust any Tello Plan to their needs. Tello’s prepaid plans come with the comforting reassurance that you don’t have to worry about bill-shock – once your child’s data cap is reached for the month, that’s it. Moreover, we have no contract, no activation fees, no overage fees, no administration fees and no port out fees. All these mean but one thing: No Worries! Use the decision of getting your kid’s first phone plan as a chance to make him more responsible and involved. You can browse our site and see the different plan combinations that might suit his needs and your parental desires for safety. You can see it as math via wireless or even choose to reward good behaviour by adding extra minutes or gigs of data to their plan. Any plan update is free of charge. The sky’s the limit when it comes to Tello flexibility. 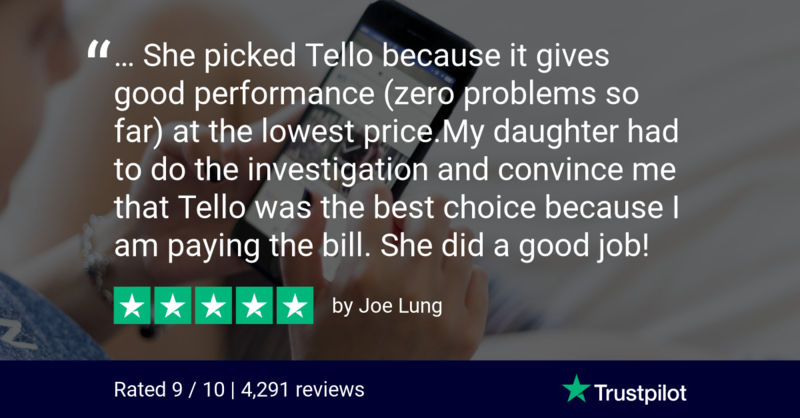 Check out the cool reviews parents are leaving about us and why they saw it fit to choose Tello for their children.